This is a dual post. 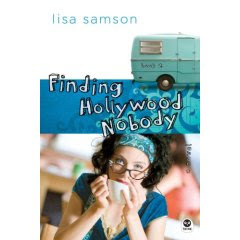 I will be featuring Lisa Samson's Finding Hollywood Nobody and giving my very own personal copy away for May's Pay It Forward book exchange sponsored by Overwhelmed With Joy. Read the excerpt and then scroll on down for the Pay It Forward Portion of the post. It is May FIRST, time for the FIRST Blog Tour! (Join our alliance! Click the button!) The FIRST day of every month we will feature an author and his/her latest book's FIRST chapter! Before your read the first chapter allow me to interject that this is exactly the kind of book I would have loved reading when I was a teenager. There's a little bit of everything: mystery, struggles with familial relationships, and hat tips to Hollywood stars. It's fun, relatable and a great gift for your teen. Well, Nobodies, it's a wrap! Jeremy's latest film, yet another remake of The Great Gatsby, now titled Green Light, has shipped out from location and will be going into postproduction. Look for it next spring in theaters. It may just be his most widely distributed film yet with Annette Bening on board. Toledo Island will never be the same after that wacky bunch filled in their shores. Today's Hottie Watch: Seth Haas has moved to Hollywood. An obscure film he did in college, Catching Regina's Heels (a five-star film in my opinion), was mentioned on the Today show last week. He was interviewed on NPR's Fresh Air. Hmm. Could it be he'll receive the widespread acclaim he deserves before the release of Green Light? For his sake and the film's, I hope so. Rehab Alert: I've never hidden the fact that I don't care for bratty actress Karissa Bonano, but she just checked into rehab for a cocaine addiction. Her maternal grandfather, Doug Fairmore, famous in the forties for swashbuckling and digging up clues, made a public statement declaring the Royal Family of Hollywood was "indeed throwing all of our love, support, and prayers behind Karissa." The man must be a thousand years old by now. This isn't Ms. Bonano's first stint in rehab, but let's hope it's her last. Even I'm not too catty to wish her well in this battle. But I'm as skeptical as the next person. In Hollywood, rehab is mostly just a fad. Today's Rant: SWAG, or Party Favors. Folks, do you ever wonder what's inside those SWAG bags the stars get? Items which, if sold, could feed a third-world country for a week! And have you noticed how the people who can afford to buy this stuff seem to get it for free? I'm just sayin'. So here's my idea, stars: Refuse to take these high-priced bags o' stuff and gently suggest the advertisers give to a charitable organization on behalf of the movie, the stars, the whoever. Like you need another cell phone. Today's Kudo: Violette Dillinger will be appearing on the MTV Video Music Awards in August. She told Hollywood Nobody she's going to prove to this crowd you can be young, elegant, decent, and still rock out. Go Violette! Monday, September 15, 4:00 a.m.
Maybe I'm looking for the wrong thing in a parent. I turn over in bed at the insistence of Charley's forefinger poking me in the shoulder. "Please tell me you've MapQuested this jaunt, Charley." She shakes her tousled head, silhouetted by the yellow light emanating from the RV's bathroom. "You're kidding me right?" She slides off the dinette seat. Charley's been overflowing with relief since she told me the truth about our life: that she's not really my mother, but my grandmother, that somebody's chasing us for way too good of a reason, that my life isn't as boring as I thought. We're still being chased, but Charley can at least breathe more freely in her home on the road now that I know the truth. Home in this case happens to be a brand-spanking-new Trailmaster RV, a huge step forward from the ancient Travco we used to have, the ancient Travco with a rainbow Charley spread in bright colors over its nose. "Where to?" Having set my vintage cat glasses, love 'em, on my nose, I scramble my hair into its signature ponytail: messy, curly, and frightening. I can so picture myself in the Thriller video. "It is." I shake my head. Charley. I love her, I really do, but when it comes to geography, despite the fact that we've traveled all over the country going to her gigs ever since I can remember, she's about as intelligent as a bottle of mustard. And boy do I know a lot about bottles of mustard. But that was my last adventure. "If you knew, then why did you ask?" She flips the left side of her long, blonde hair, straighter than Russell Crowe, over her shoulder. Charley's beautiful. Silvery blonde (she uses a cheap rinse to cover up the gray), thin (she's vegan), and a little airy (she's frightened of a lot and tries not to think about anything else that may scare her), she wears all sorts of embroidered vests and large skirts and painted blue jeans. And they're all the real deal, because Charley's an environmentalist and wouldn't dream of buying something she didn't need when what she's got is wearing perfectly well. She calls my penchant for vintage clothing "recycling," and I don't disagree. "Is this really a gig, Charley, or are we escaping again?" She shakes her head. "No phone call. I really do have a job." I feel the thrill of fear inside me, though there's no need right now. Biker Guy almost got me back on Toledo Island. (Yeah, he looks like a grizzled old biker.) To call the guy rough around the edges would be like saying Pam Anderson has had "a little work done." I've been looking over my shoulder ever since. But more on that later. We need to get on the road. And I need to get on with my life. I'm so sick of thinking about how things aren't nearly what I'd like them to be. I mean, do you ever get tired of hearing yourself complain? I flip up my laptop, log on to the satellite Internet I installed (yes, I am that geeky) and Google directions to Marshall, Texas, from where we are in Theta, Tennessee—actually, on the farm of one of Charley's old art-school friends who gave her some work in advertising for the summer. Charley's a food stylist, which means she makes food look good for the camera. Still cameras, motion picture cameras, video, it doesn't matter. Charley can do it all. "Oh, we've got plenty of time, Charley. Five hundred and fifty miles and . . . we have to go through Memphis . . ."
My verbal drop-off is a dead giveaway. "Oh, no, Scotty, we're not going to Graceland again." The kitsch that is Graceland speaks to me. What can I say? And you've got to admit, it's starting to look vintage. Now ten years ago . . . I cross my arms. "Do you have cooking to do on the way?" Yes, highly illegal to cook in a rolling camper. "And do you expect me, an unlicensed sixteen-year-old, to drive?" Again, highly illegal, but Charley's a free spirit. However, she refuses to copy CDs and DVDs, so in that regard, she's more moral than most people. I guess it evens up in the end. "Then I think I deserve a trip through the Jungle Room." She rolls her eyes, reaches down to the floor, and throws me my robe. "Oh, all right. Just don't take too long." "I'll try. So." I look at the screen. "65 to route 40 west. Let's hit it. And we'll have time to stop for breakfast." Charley shakes her head and plops down on the tan dinette bench. The interior of this whole RV is a nice sandy tan with botanical accents. Tasteful and so much better than the old Travco that looked like a cross between a genie's bottle and the Unabomber cabin. "You're going to eat cheese. Aren't you?" And Charley can't say anything, because months ago she told me this was a decision I could make on my own. "I've rethought the cheese moratorium, baby. I know you're not going to like this, but three months of cheese is enough. I can't imagine what your arteries look like. I think it's time to stop." "What?" Cheese is my life. "Charley! You can't do this to me." "Because summer's over, baby, and we've got to get back to a better way of life." I could continue to argue, but it won't do any good. Charley acts all hippie and egalitarian, but when push comes to shove, she's the boss. However, I'm great at hiding my cheese . . . and . . . I'm going to convince her eventually. "This isn't right, Charley, and you know it. But it's too early to argue. And might I add, you have no idea what it's like to have a teen with real teen issues. You ought to be on your knees thanking God I'm not drinking, smoking, pregnant, or"—I was going to say sneaking out at night, but I've done that, just to get some space—"or writing suicidal poetry on the Internet!" We stare at each other, then burst into laughter. "Just humor me this time, baby," she says. "We'll come back to it soon, I promise." I don't believe her, but I hop into the driver's seat, pull up the brake, throw the TrailMama into drive, and we are off. I pull through Graceland's gatehouse at ten a.m., park near the back of the compound's cracked, tired parking lot, and change into some crazy seventies striped bell-bottoms, a poet shirt, and Charley's old crocheted, granny-square vest. Normally I go further back in my vintage-wear, but I'm trying to go with the groove that is Graceland. I kiss Charley's cheek. "I'll be back by noon." "When will that put us in Marshall?" "Because I'm not sure where the shoot is." "Please. Marshall's small. Jeremy and company will make a big splash no matter where they set up. Besides, growing up around this, I have a nose for it." She awards me one of her big smiles. "You're somethin', baby. I forget that sometimes." She puts her arms around me, squeezes, pulls back, then smacks me lightly on my behind. "Tell Elvis I said hello." "Oh, I will. He's one of the groundskeepers now, you know." I've seen computer-generated pictures of what he would look like now, in his seventies. Scary. I jump down from the RV, head across the parking lot, over the small bridge leading into the ticketing complex and walk by Elvis's jets, including the Lisa Marie. Gotta love anything with that name. Don't know why. Just has a nice ring to it. Is what? Dead? A legend? What? Because he isn't "izzing" as far as I'm concerned. Present tense, people! If the person's not alive, "is" can only be followed by a few options: Buried up in the memorial garden. Rotting in his casket. Missed by his family and friends. Not exactly banner copy, mind you. Still, you've got to admit the name Elvis wreaks of cool. Perhaps the sign should read, "Elvis Is . . . A Really Cool Name." But it's not nearly as cool as my name. You see, my real mother loved the writer F. Scott Fitzgerald. And that's my name: Francis Scott Fitzgerald Dawn. Only Dawn's not my actual last name. I don't know what my real last name is. My real first name is Ariana. Being on the run, Charley renamed us to protect our identity. So she honored my mother by naming me after Mom's favorite novelist. More on that later too. It sounds fun, traveling on the road from film shoot to film shoot, never settling down in one place for too long, but honestly, it's very sad. I always knew Charley lived with a sadness down deep, and when I found out why this spring, her sadness became mine. See, my dad is dead and my mother, Charley's daughter Babette, is too. Or we think she must be, because she disappeared under questionable circumstances and never came back. Learn that when you're fifteen and see where you land. When I thought Charley was my mother, I had such high hopes for who my father might be. Al Pacino was number one in the ranking. Don't ask. Okay, Elvis, here we go. Let's you and me be "taking care of business." I hand over my money to the lady behind the reservations counter. I called thirty minutes ago on my cell phone, compliments of my mother's friend Jeremy, and reserved a spot. "You'll be on the first tour." Yes! More time amid the shag carpeting and the gold records. And the jumpsuits. Can't forget the jumpsuits. I want a cape too. The gift shop calls to me. Confession: I love gift shops. They even smell sparkly. Key chains dangling, saying, "You can take me with you wherever you go!" Mugs with the Saint Louis Gateway Arch or the Grand Ole Opry promising an even better cup of coffee. Earrings that advertise you've been somewhere. That's exactly what I choose while I wait for the tour, a little pair of dangly red guitars with the words Elvis Presley in gold script on the bodies, and how in the world they put that on so small is beyond me. See, gift shops can even be miraculous if you take your time and look. A voice over the loudspeaker announces my tour number, so I stand in line. By myself. Just me in a group of twenty or so. Okay, here is where it gets hard to be me. I know I should be thankful for my free-spirited life. But especially now that I know my parents are dead, it feels empty all of a sudden. I shouldn't be standing in line at Graceland alone. My mother and I should be giggling behind our hands at the man nearby who's actually grown a glorious pair o' mutton-chop sideburns, slicked back his salt-and-pepper curls, and shrugged his broad shoulders into a leather jacket. Really, right? My father, who was an FBI agent the mob shot right in a warehouse in Baltimore, would shake his head like a dad in a sixties TV show and laugh at his girls. We'd get on the bus like I'm doing now, each of us putting on our tour headphones and hanging the little blue recorders around our necks in anticipation of the glory that is Elvis. The driver welcomes us as he shuts the hydraulic doors of the little tour bus with its clean blue upholstery, a bus in which an assisted-living home might haul its residents to the mall. It smells new in here, and my gross-out antennae aren't vibrating in the least like they do when I go into an old burger joint and the orange melamine booth hasn't been scrubbed since the place opened in 1987. In my fantasy, my dad would sit beside me. And Mom, just across the aisle, holding onto the seatback in front of her, would look at me as we pass through those famed musical gates, because she would have introduced me to Elvis music. According to Charley, my vintage sentimentalism comes from my mom. I've learned a little about her this summer. Charley said, "She'd wear my cousin's old poodle skirt and listen to Love Me Tender over and over again while writing in her diary." She became a respected journalist, loved books as much as I do. I pat my book in my backpack, looking forward to tonight when I can cuddle into my loft and get into one of Fitzgerald's glittering worlds. "She was different from me, Scotty. I tried to change the world through protest. Your mother wanted to build something completely different and much better." She sighed. "All my generation could do, I guess, was tear apart. It's going to take our children to put the pieces back together. Babette was a very careful person. Very purposeful." If it drove my freewheeling grandmother crazy, she doesn't let on. "I could try to describe how much she loved you, baby. But I don't think I could begin to do her devotion to you justice. I was so proud of her, for how much she loved and gave away. She was amazing." So in May I found out she existed, the same day I found out she is dead, or most likely dead. And now I'm going into Graceland alone, truly an orphan. Who wants to be an orphan? We disembark from the bus—me, Elvis Lite, some folks from a Spanish-speaking country, and a lot of older people. I miss Grammie and Grampie right now. More later on them, too. And you'll get to meet them. Like the waters of the Gulf Stream, we seem to travel in the same general direction. I spent a week with them this summer in Tennessee. Yeah, we did Nashville right. They're loaded. Dad, undercover, worked his way into a portion of the mob, or mafia if you prefer, that was heavily financing the campaign of a Maryland gubernatorial candidate. When they discovered him, they shot him on site, in a warehouse in the Canton neighborhood of downtown Baltimore. My mother watched, gasped, and a chase ensued. She hid in a friend's gallery, called Charley and told her to keep watching me. (Charley had kept me the night before because my mom and dad had some glamorous function to attend.) And then she disappeared. The Graceland tour recorder tells me to look to my right into the beautiful white living room with peacock stained-glass windows leading into the music room. This room really isn't so bad, I've got to admit. A picture of Elvis's dad hangs on the wall. He really loved his parents. I've toured this house at least seven times before, and I'll tell you this, Elvis's love for his family soaked into the walls. A girl that lives in a camper, has dead parents, and is being chased by someone from the mob who knows my grandmother knows what went down, well, she can feel these things. Charley thinks someone's trying to kill us. This guy is always trying to find us, but Charley's really great at evasion. She said the politician who won the governor's seat all those years ago just announced his candidacy for president and—oh, GREAT!—he's probably trying to make sure nothing comes back to haunt him and sent Biker Guy to finish off the entire matter. The thing is, he seems to be after me too. And what in the world would I have to do with all of that? I'll bet Charley's back in that camper shaking in her shoes because I'm over here by myself; I'll bet she's figuring out more ways to be utterly and overly protective of me. I wouldn't be surprised if she's wondering whether locking a kid in an RV is child abuse. But I love Charley. I really do. I know she's scared back there, and despite the fact that I would be no real help if Biker Guy caught us, I can't leave her there so frightened and alone for long. Elvis dear, I can only stay a little while. So love me tender, love me sweet, and for the sake of all that's decent, don't step on my blue suede shoes. I hurry past the bedroom of Elvis's parents, decorated in shades of ivory and purple, very nice, and through the dining room—a little seventies tackiness I'll admit—into the kitchen with dark brown cabinetry and the ghosts of a million grilled peanut butter and banana sandwiches, then on down into the basement. Okay, I admit, I've got to just stand for a second in the TV room and admire the man's ability to watch three TVs at once on that huge yellow couch with the sparkly pillows. I shoot through the billiard room, which is, honestly, truly beautiful with its fabric-lined walls and ceiling, up the back steps and into the Jungle Room, probably Graceland's most famous room. Green shag carpet overlays the floor and the ceiling, and heavily carved, Polynesian-style furniture is arranged around a rock-wall waterfall at the end of the room. It really defies the imagination, folks. Google Jungle Room Graceland and see what I mean. The second floor of Graceland is closed off to the public because Elvis died up there. On the toilet. Wise decision on the part of Priscilla I'd say. Out the door, into the office building, down to the trophy hall, I whiz through all the gold and platinum records, the costumes, the awards, and even a wall full of checks he'd written for charity. According to my recorder, Elvis was an active community member in Memphis. And he obviously didn't care what race or religion people were. He supported Jewish organizations, Catholic, Baptist. Pretty cool. Of course, this recorder isn't going to tell of the dark side of the man. But Elvis Isn't, despite what the banners say. So why drag a dead man through the mud? I hurry through the racquetball court, more gold records, the infamous jumpsuits, back outside to the pool and memorial garden where Elvis has been laid to rest. An older lady cries into a handkerchief. I don't ask why. Good-bye Elvis. Thanks for the tour. Maybe one day I'll do something great too. Well, there you have it. And now that your appetite has been whetted, you'll want to read on to find out just exactly how to win your very own copy. Now, this month, I thought it would be fun to have, you dear reader, leave a comment by sharing the title of your life's story. 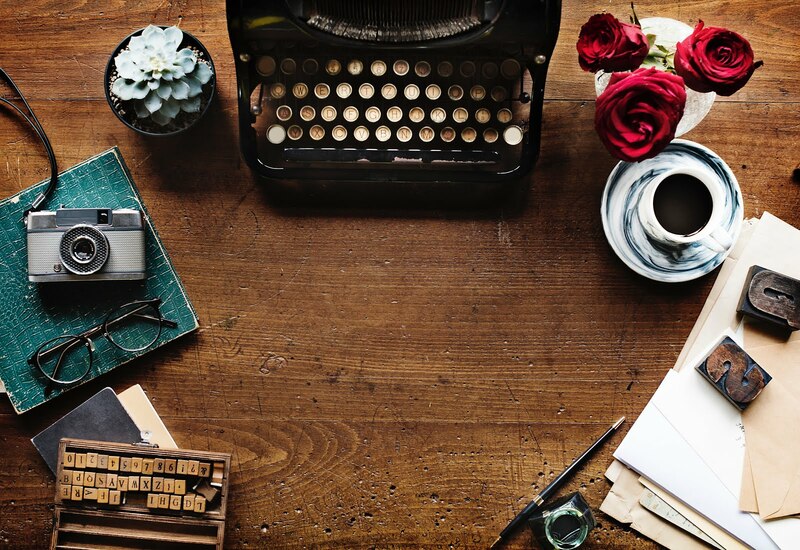 If you were to write a book about you, what would the title be? Be creative! It can be humorous, mysterious, a play on words -- you decide. I will give the book to the commenter with the most interesting title. This giveaway will end on May 20th, so you have some time to really think about your life's title. I cannot wait to read your entires! 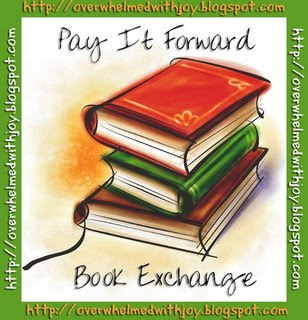 If you are a blogger, all I ask is that when you are finished reading the book, then participate in a future Overwhelmed With Joy Pay It Forward book exchange by giving it away on your own blog. If you aren't a blogger, you also can enter and when you are finished pass the book along to your library or women's shelter so others can share in the joy of reading. Hmm...what would be the title of my life's story? That's a toughie. Can't stop to smell the roses, I'm too busy smelling soiled diapers! 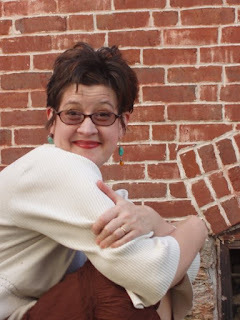 Life in the fast lane: trials and tribulations of a foster mom. I'm not going to ask to be entered in your drawing because I have a stack of books to read and catch up on, but I have linked you in my May Pay It Forward Book Exchange post. Thanks for participating by hosting your own giveaway. I do appreciate it! Check back on 24 May when I’ll draw and announce the winner of my giveaway! My life story -- When God Closes A Door Somewhere He Opens a Window (from the Sound of Music). One Paige at a time. Thanks for stopping by and entering my book giveaway. Not sure what the title of my book would be. Hmm.. I 'll have to think about it some more. I'd have entered, but I'm just unable to part with a book. Good luck to others. I'll blog it though. Btw, I'm having a HUGE Book giveaway and it ends on Mother's Day. Hope you'll drop by and/or encourage your readers to do so as well. My title would be... "See What Happens when you Sweat the Small Stuff?!" My step-daughter is going to title hers "You Had to be There."